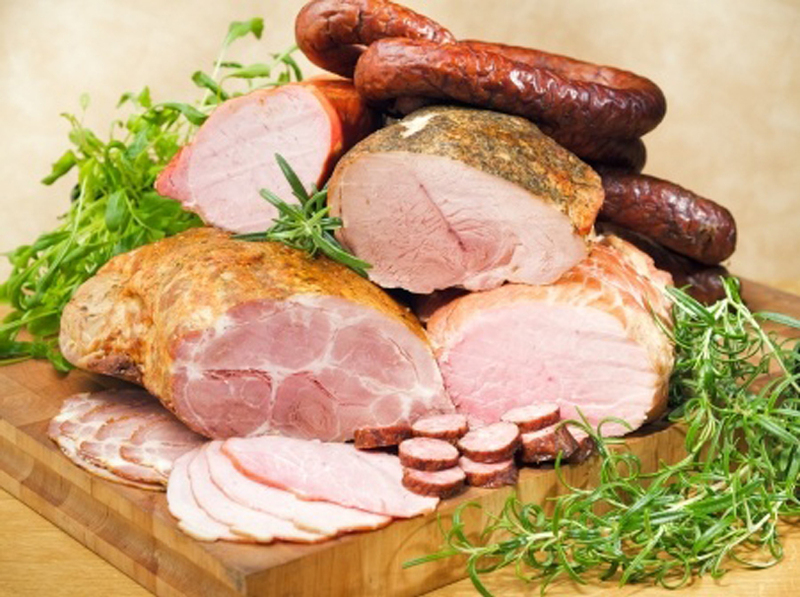 Ham, Bacon, Canadian Bacon, Corned Beef, Luncheon Meats, Bologna, Salami, and Sausage. Frozen, Pre-Breaded, and Pre-fried fish; Canned tuna, Smoked Salmon, Sardines, Anchovies, and Salted or Dried Herring. Cereals, breads, macaroni and cheese, seasoned rice, noodles and pastas, instant or seasoned potato mixes, and frozen main dishes. Salted Crackers, Chips, Snack Foods, Party Spreads, and Dips. Canned and Instant Soups, Canned Vegetables, Vegetable Juices, Tomato Sauce, Tomato Paste. Salad Dressing, Ketchup, Salted Gravies or Sauces (chili, barbecue sauce, soy sauce, steak sauce, and Worcestershire sauce), Seasoned Salt, Meat Tenderizers, and Monosodium Glutamate (MSG). Certain medication may contain sodium. Check labels and warning statements on over the counter products.